The period between winter 1545 and summer 1546 is not well represented in Mori records. It is thought that documents were lost in transit between Iwami and Aki, Iwami being subject to Amako raiding during this period. What is known is that the small Amako raiding part travelled south to continue their raiding into the Mori’s home province of Aki. 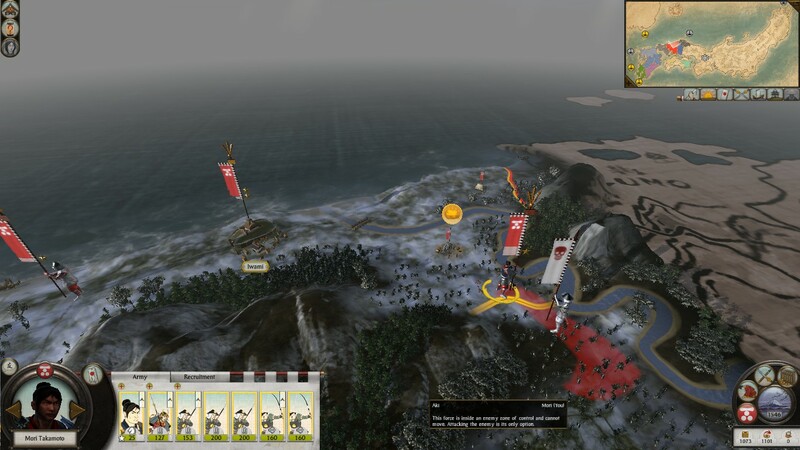 Motonari and his councillors elected to ignore the raiders, and sent his son, Takamoto, east with the bulk of the army that had conquered Iwami. Motonari and the Mori senior retainers had apparently suspected that the Amako armies were thoroughly depleted, and hoped that Takamoto would be able to conquer Izumo with ease. They were surprised when Takamoto encountered an Amako force, somwhat larger than his own marching west to meet him. By Autumn, Motonari had heard learned that the tiny Amako force had continued its incursion laying waste to farmland in its wake. Motonari held council with his son and senior retainers, concluded that he was content to leave it be, while his army convalesced. He ordered the newly-recruited arched in Aki to march northward to Iwami. He hoped to destroy the Amako before they sacked the gold-mining operation in Iwami. 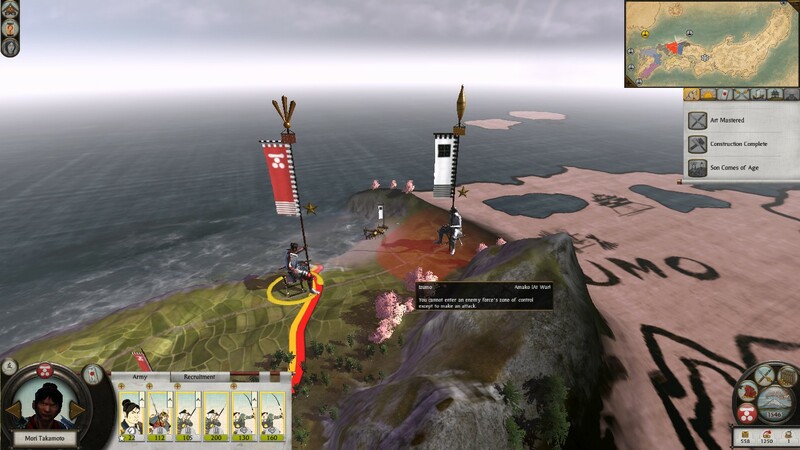 Reports from Aki brought news that the clan’s scholars had made progress in codifying the way of the warrior. 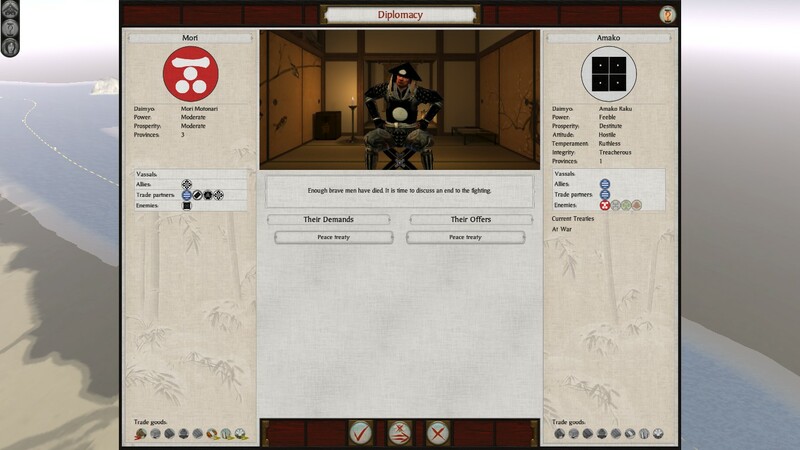 Motonari decreed that the scholars should focus future efforts on civilian endeavours. 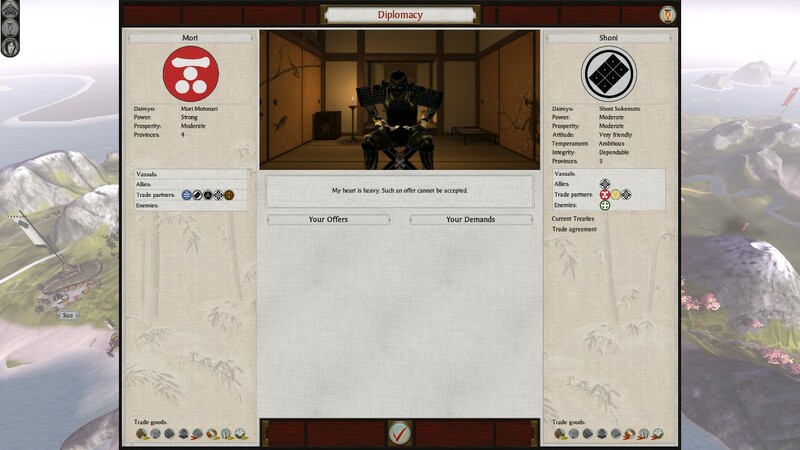 Surprisingly, it was also reported that the Tokugawa clan had been destroyed, and that their daimyo had been forced to commit seppuku. 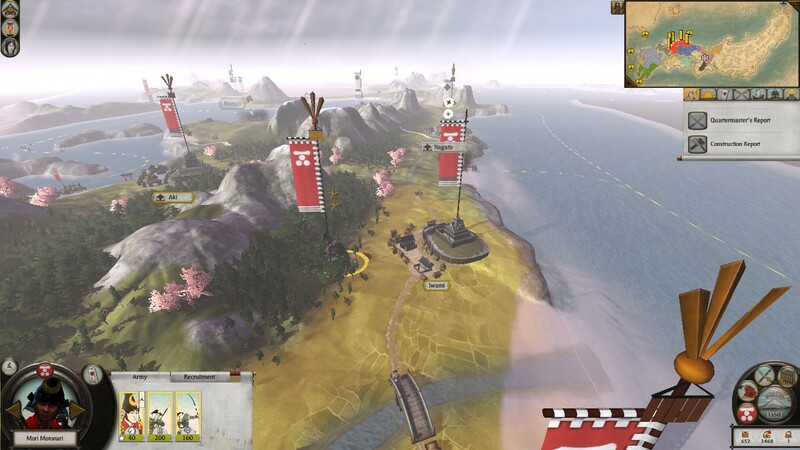 The clan’s finances were such that Motonari was able to recruit an additional unit of yari ashigaru in Izumo, and finally to order an expansion of Koriyama Castle in Aki. 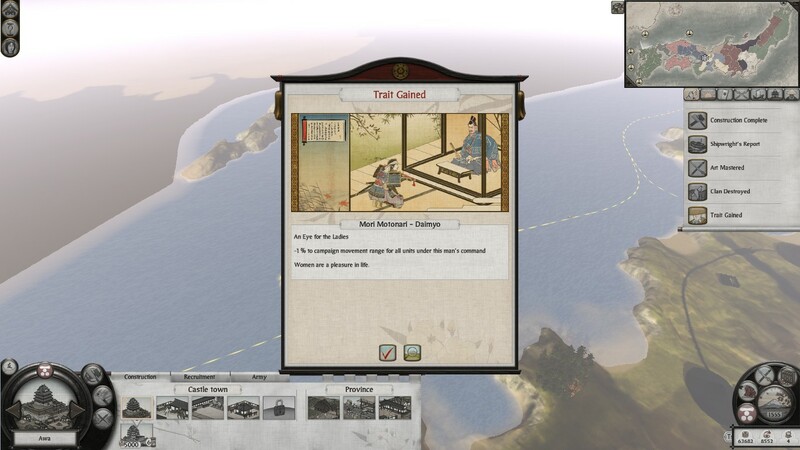 This left no funds for more ships, but existing Mori ships continued to seek out trade routes. Motonari and his council also decided to repair the damaged farming infrastructure, despite the likelihood that it would be destroyed again. If nothing else, they hoped that it would distract the Amako from the goldmine.